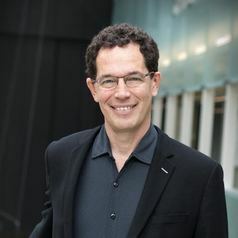 Neil Turok (PhD Imperial College London, 1983) is the Director of the Perimeter Institute for Theoretical Physics in Waterloo, Ontario, Canada. Previously, he was Professor of Physics at Princeton University and Chair of Mathematical Physics at the University of Cambridge before assuming his current position as Director of Perimeter Institute in 2008. In 2013 he was re-appointed for a second term and additionally awarded the Mike and Ophelia Lazaridis Niels Bohr Chair at the institute. Among his many honours, Turok was awarded Sloan and Packard Fellowships and the James Clerk Maxwell medal of the Institute of Physics (UK). He is a Canadian Institute for Advanced Research (CIFAR) Fellow in Cosmology and Gravity and a Senior Fellow of Massey College in the University of Toronto. In 2012, Turok was selected to deliver the CBC Massey Lectures, broadcast across Canada. The lectures were published as “The Universe Within,” a bestseller which won the 2013 Lane Anderson award, Canada's top prize for popular science writing. Born in South Africa, Turok founded the African Institute for Mathematical Sciences (AIMS) in Cape Town in 2003. AIMS has since expanded to a network of four centres – in South Africa, Senegal, Ghana, and Cameroon – and has become Africa's most renowned institution for postgraduate training in mathematical science. For his scientific discoveries and his work founding and developing AIMS, Turok was awarded a TED Prize in 2008. He has also been recognized with awards from the World Summit on Innovation and Entrepreneurship (WSIE) and the World Innovation Summit on Education (WISE). In 2016 he was named the Gerald Whitrow Lecturer by the Royal Astronomical Society.